Adulting is hard guys. 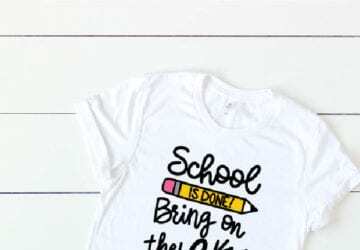 I know I am preaching to the choir but with the help of my favorite #MomSquad and Dunkin’ Donut’s Extra Extra coffee creamers, I might make it through this summer with my sanity intact! This post is kindly sponsored by Dunkin’ Donuts Extra Extra creamers. All opinions are my own. Summer break. What can I say? The kids are bored, it’s hot outside and my three boys are perfect at picking on each other’s nerves. 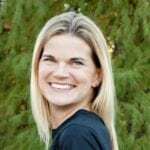 What saves the day? My mama tribe and coffee breaks. The neighborhood kids gather in my yard and the moms gather around my coffee pot. I set out my favorite Dunkin’ Donuts creamers because you know what? 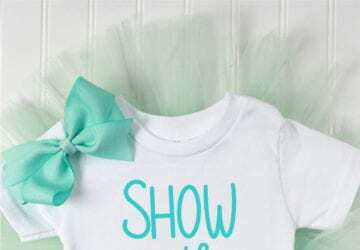 Moms need something special too! It’s the perfect morning pick me up while we sit in the shade and chat. While I dole out popsicles in the afternoon sun I bring back out the creamers and we enjoy this delicious iced coffee! This recipe is so easy and I use up that leftover coffee in the pot from the morning. 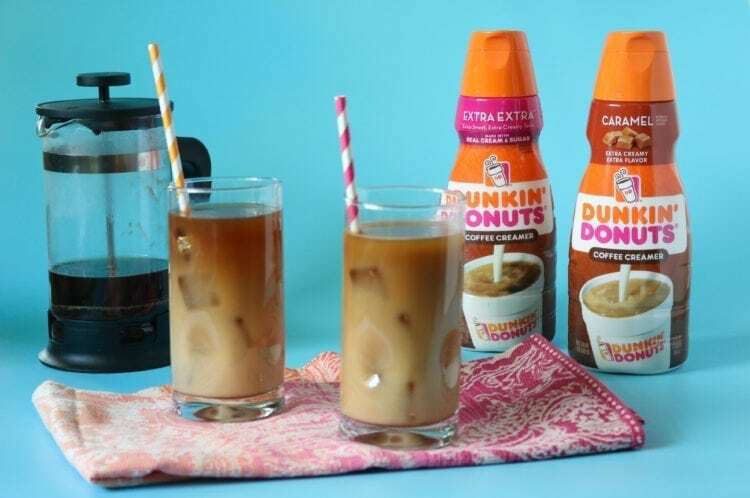 The Dunkin’ Creamers are made with real cream, real sugar, and come in a variety of new flavors so that we can mix it up! The recipe could not be made simpler! 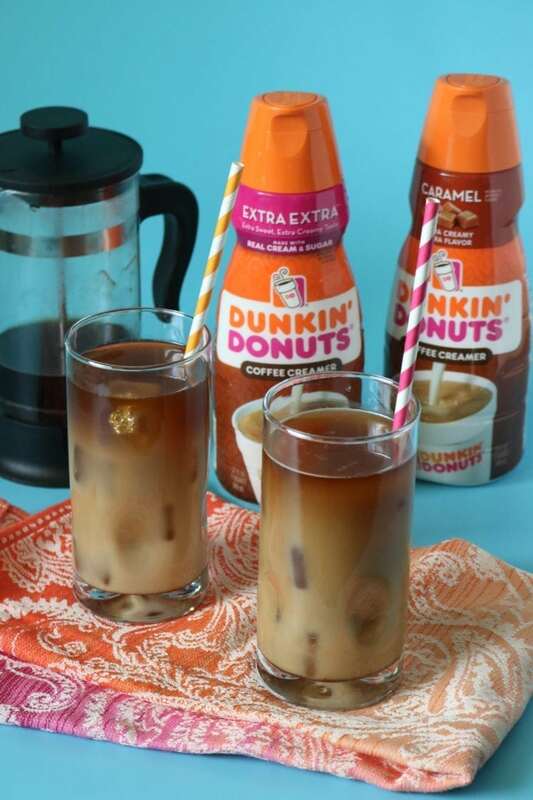 Glass + Ice + Coffee + Dunkin’ Donuts Extra Extra creamer in your choice of flavor! We may have had to referee disagreements and answer a million questions but our day was won with a coffee break (or two) and our #momsquad. 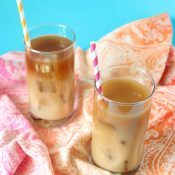 Whether you want to enjoy this in the morning or as an afternoon pick me up, this Iced Coffee Recipe could not be any easier or any tastier! Fill your glass with ice to the top. Add room temperature or cold coffee. 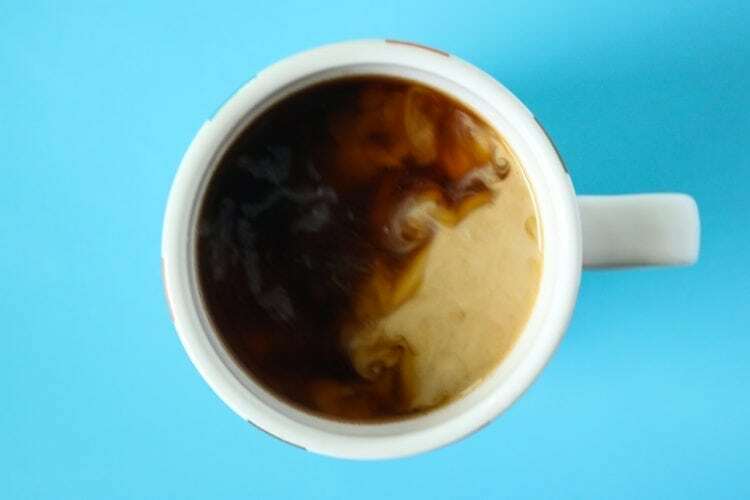 Swirl in your creamer. I mentioned 3 tablespoons but it's really personal preference! If you have extra coffee left over from your morning brew, this is a great recipe to use that for! 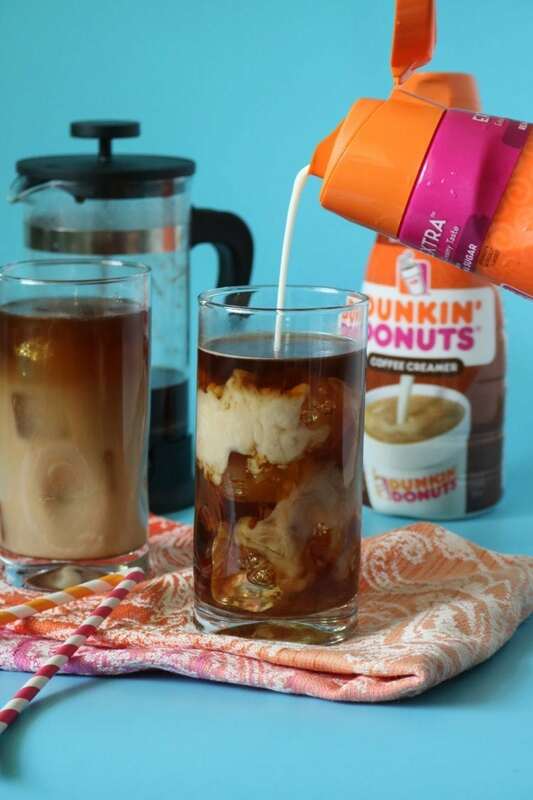 Simply place extra in a mason jar or small pitcher in your fridge and enjoy as an iced coffee later!